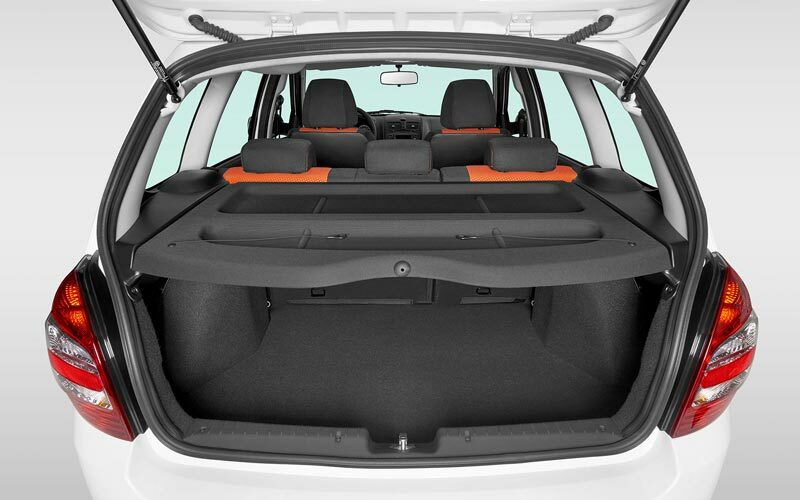 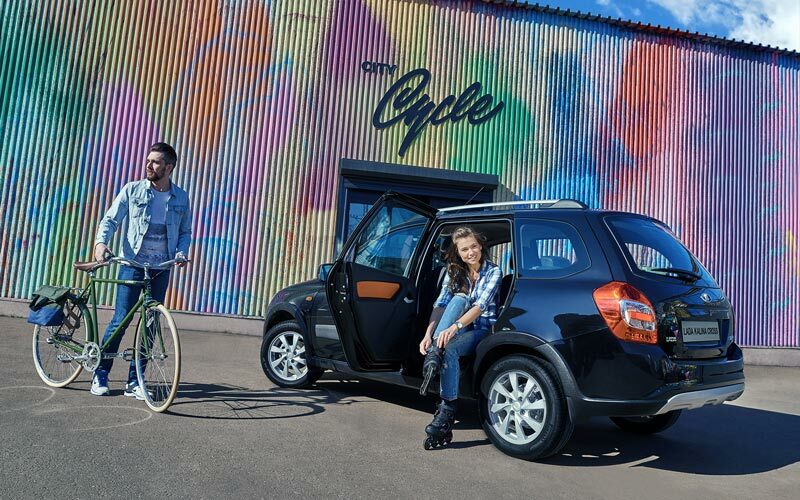 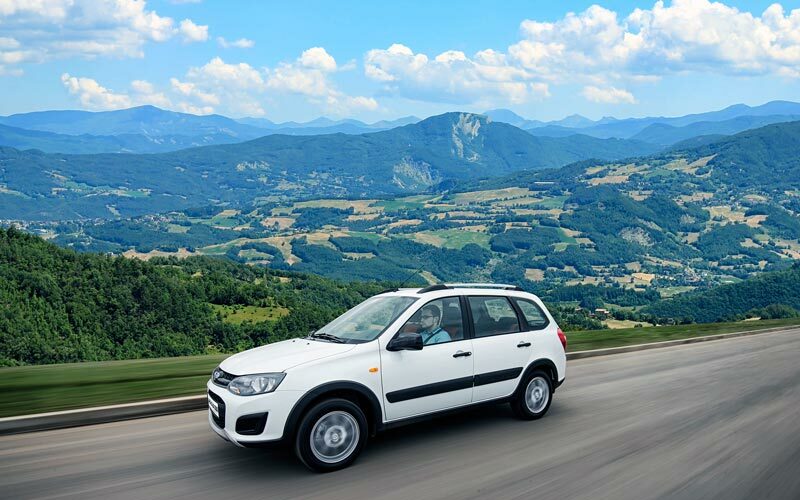 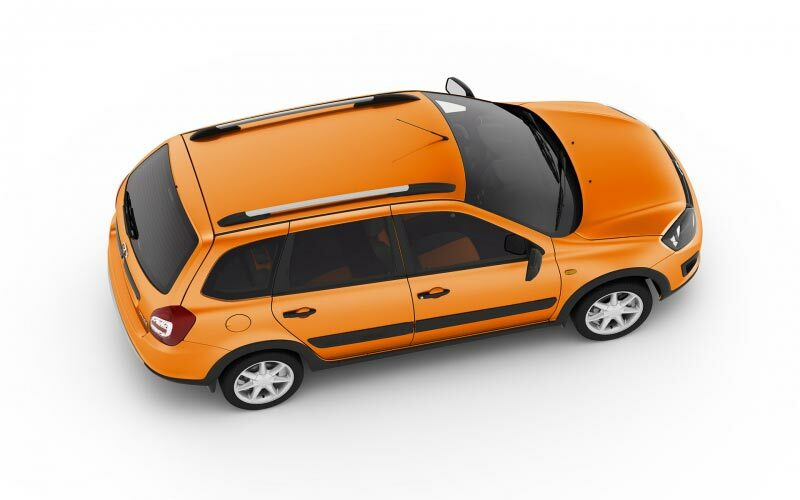 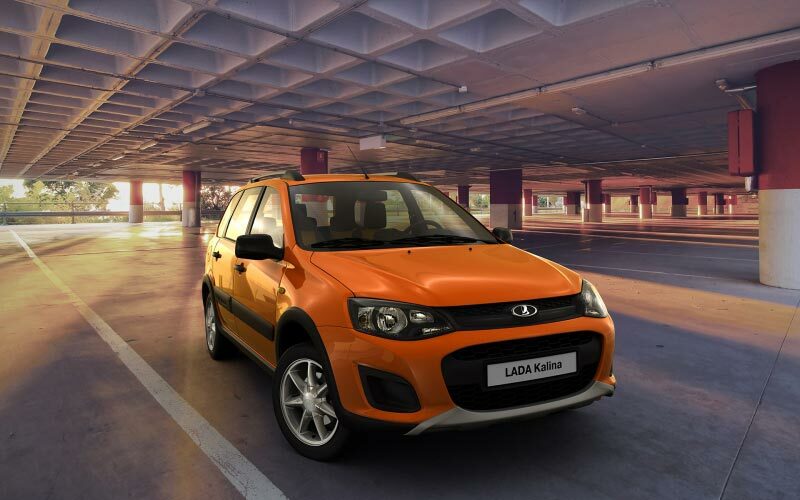 LADA Kalina Cross is an all-purpose high-capacity vehicle. 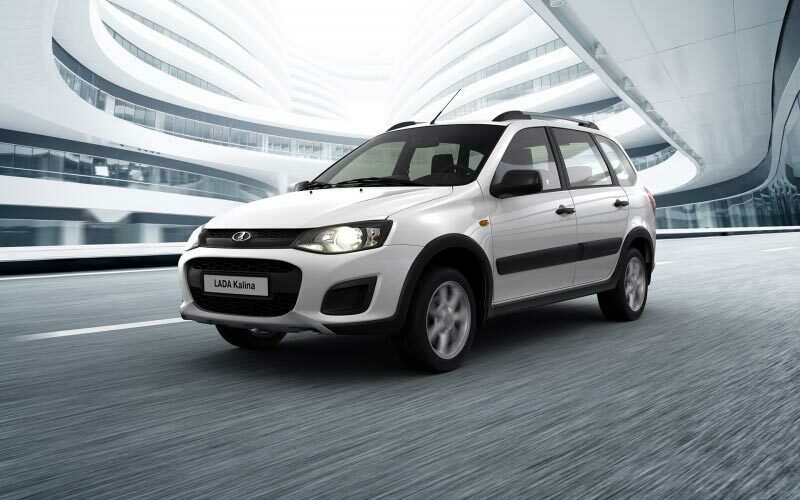 Its features include: raised ground clearance, a safety body kit, a unique interior finish, and enhanced capacity tires. 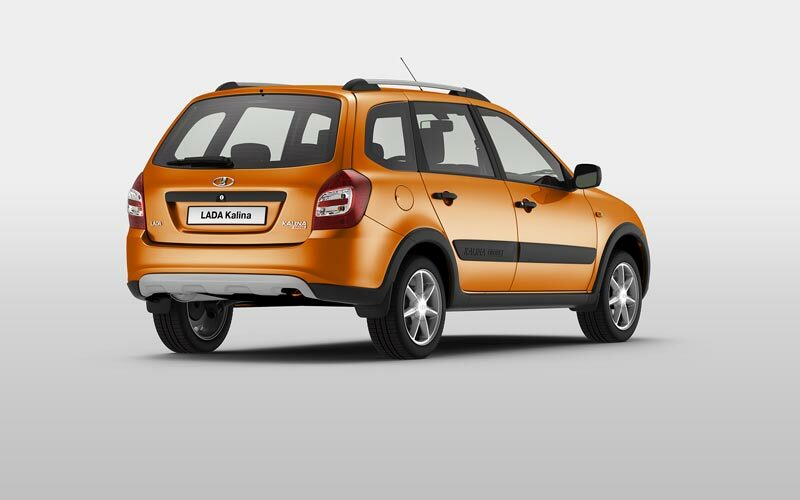 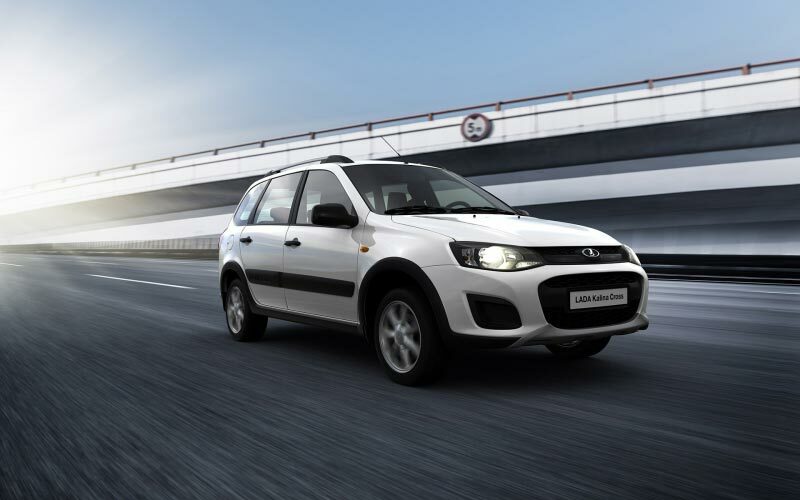 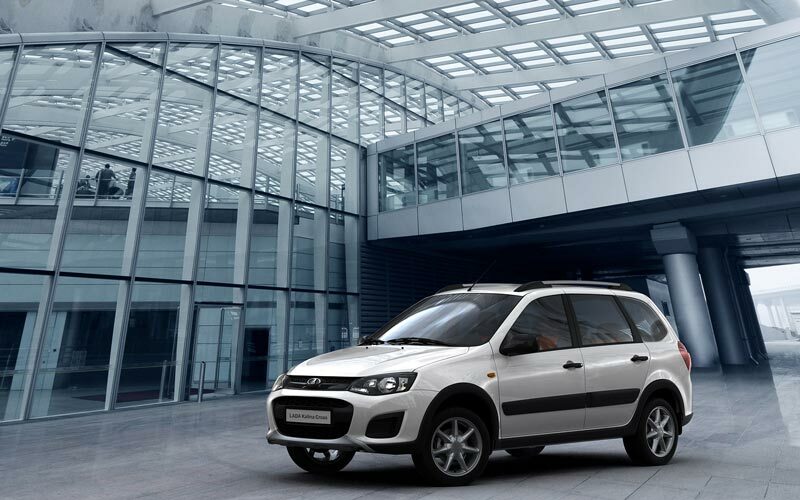 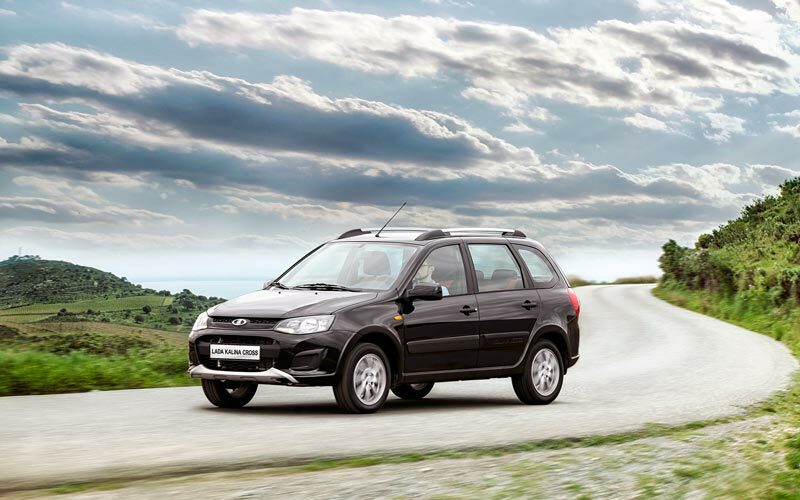 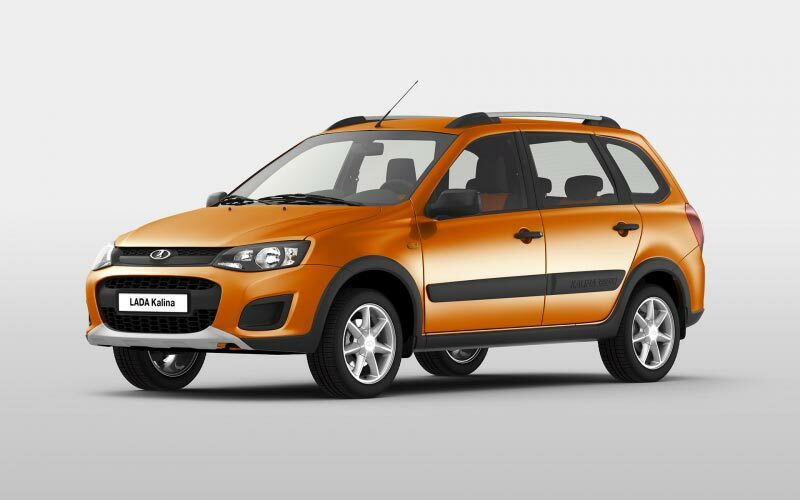 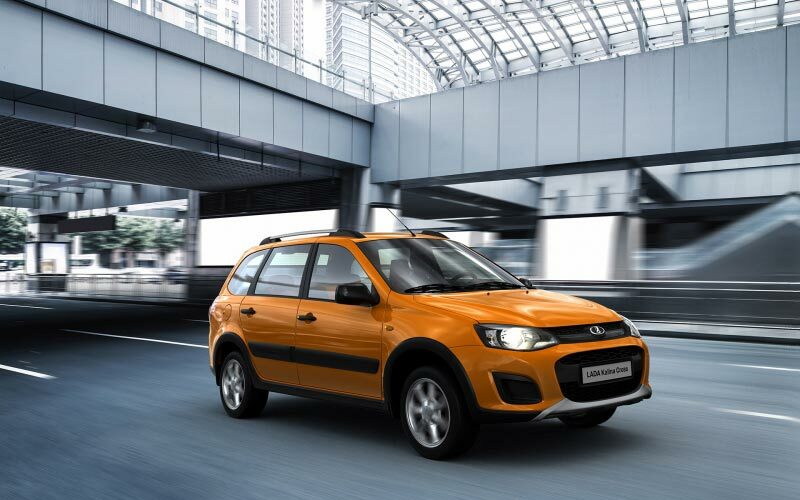 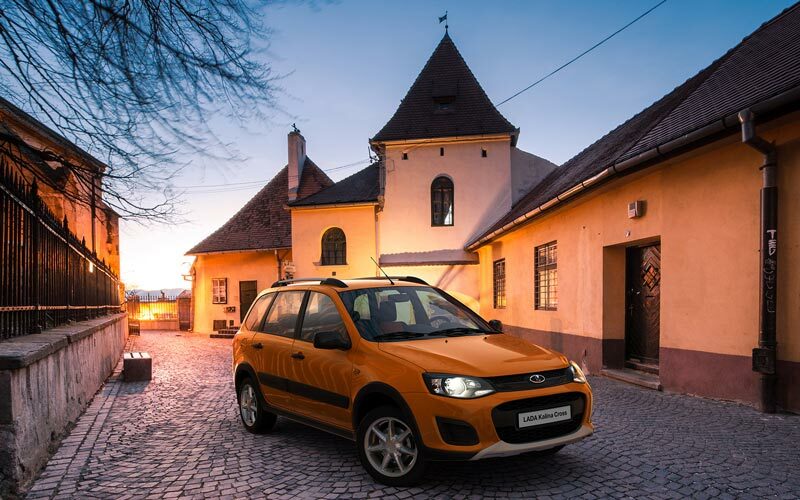 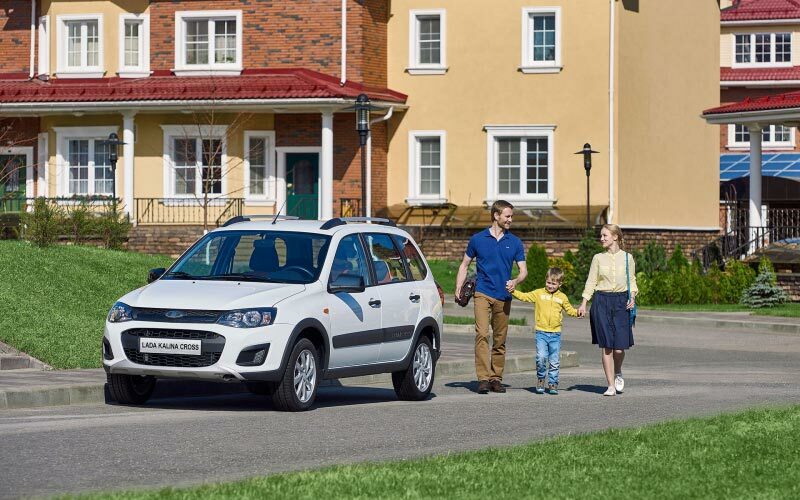 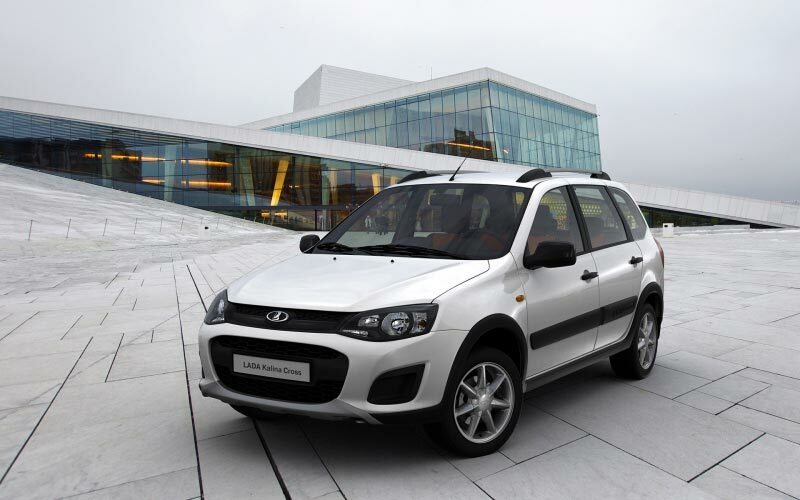 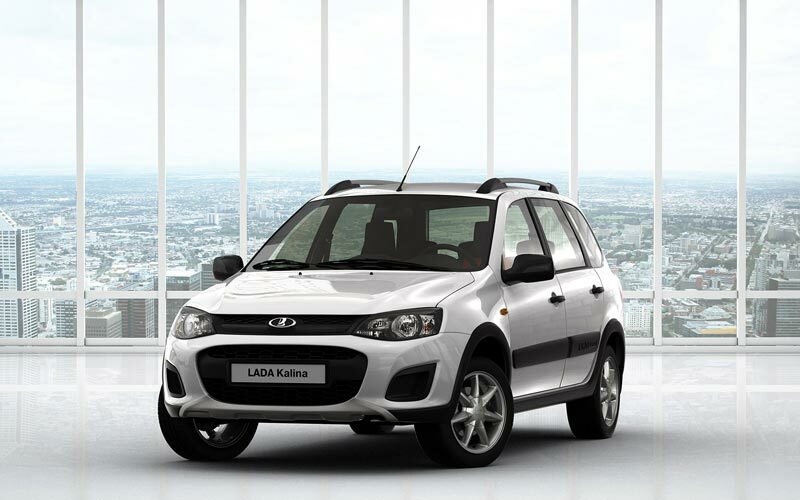 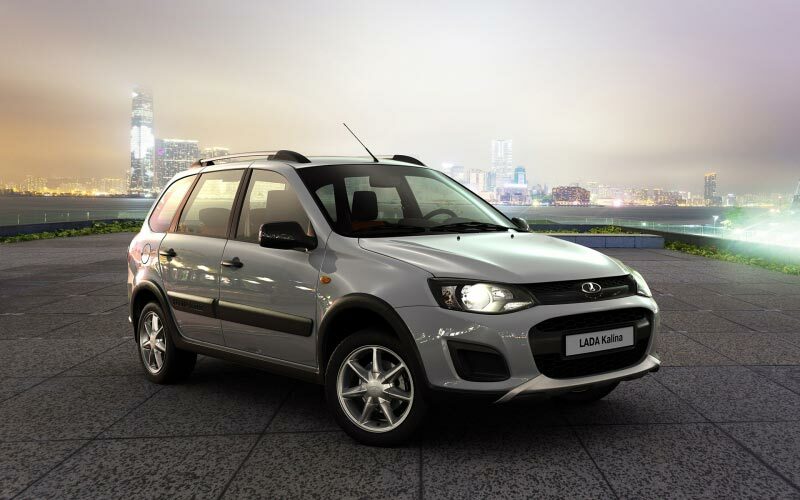 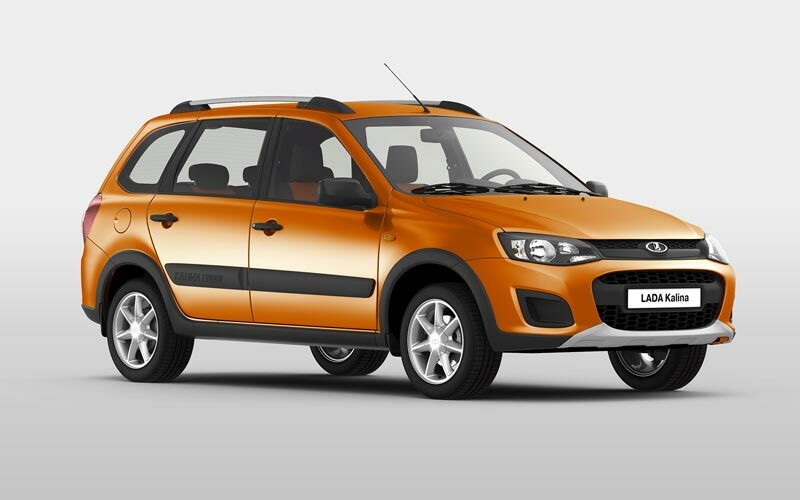 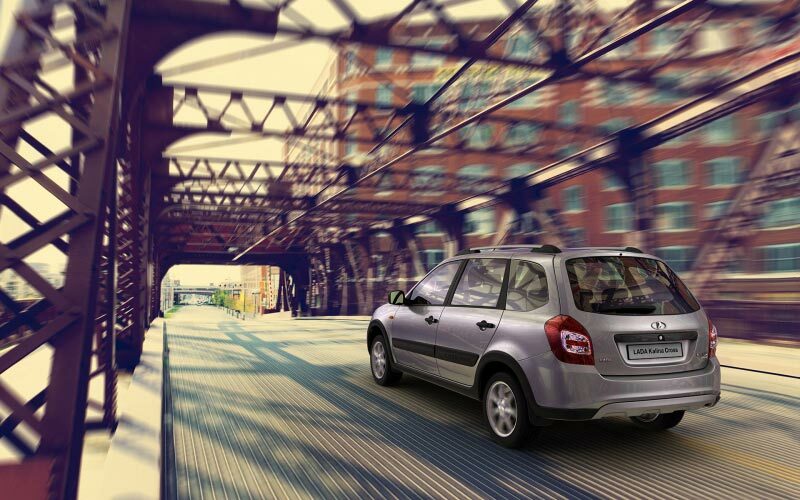 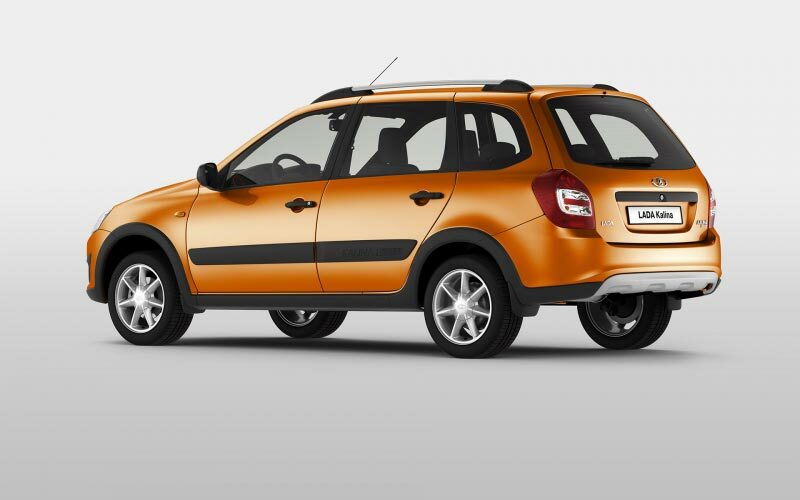 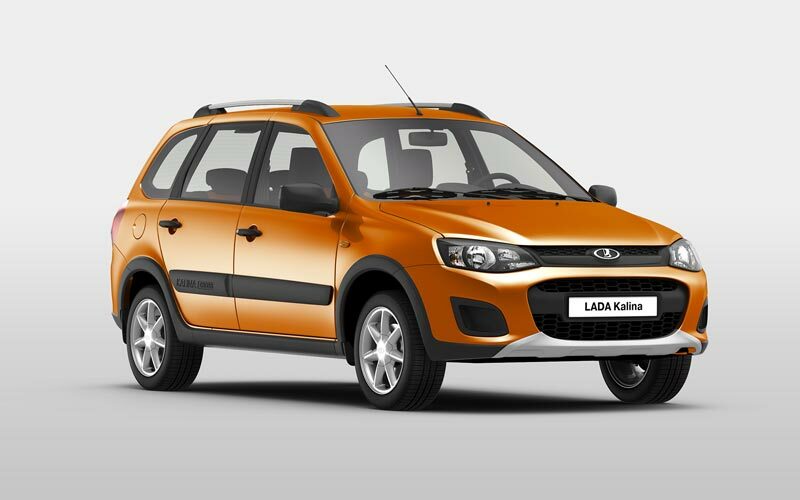 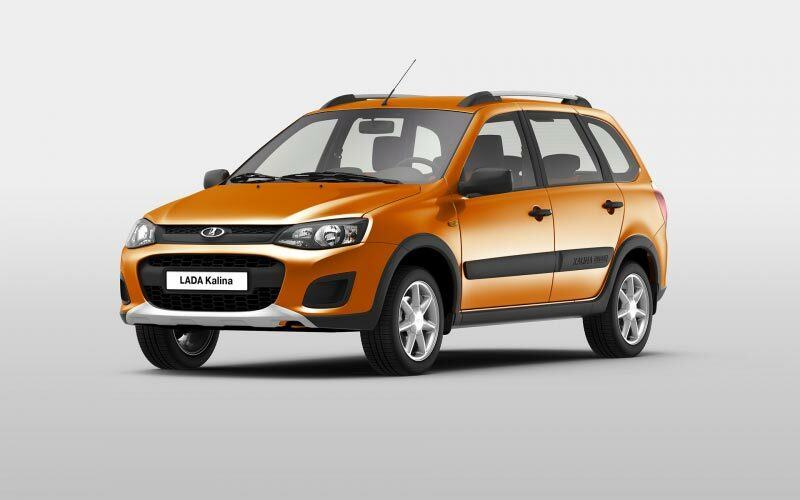 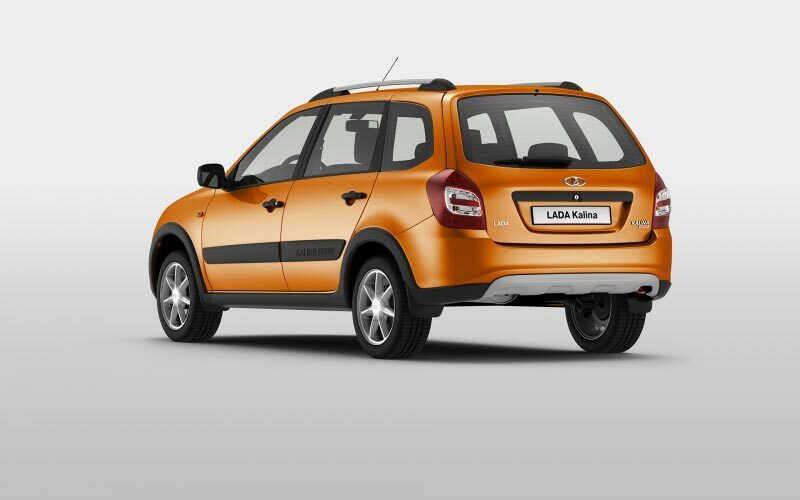 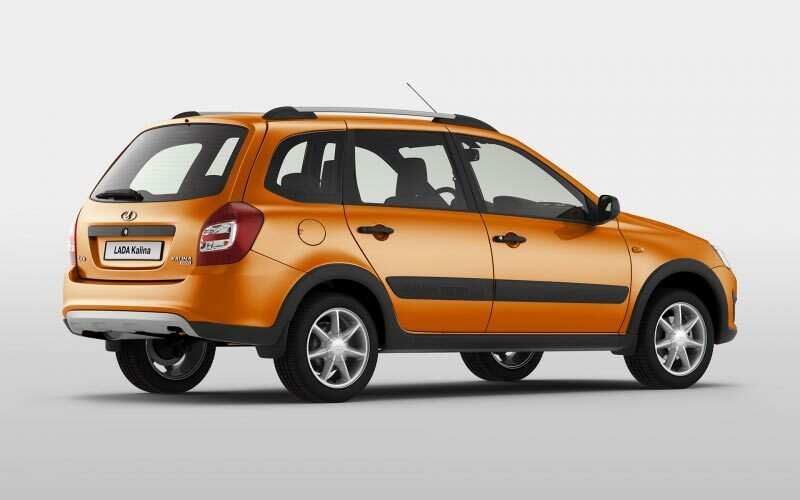 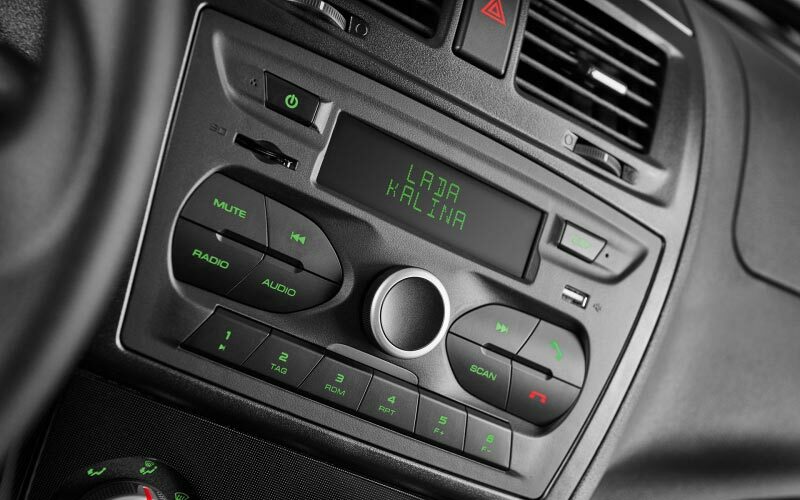 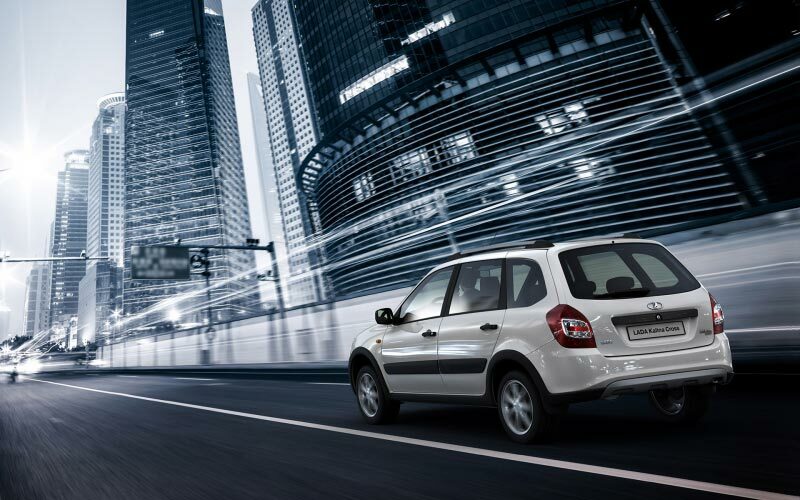 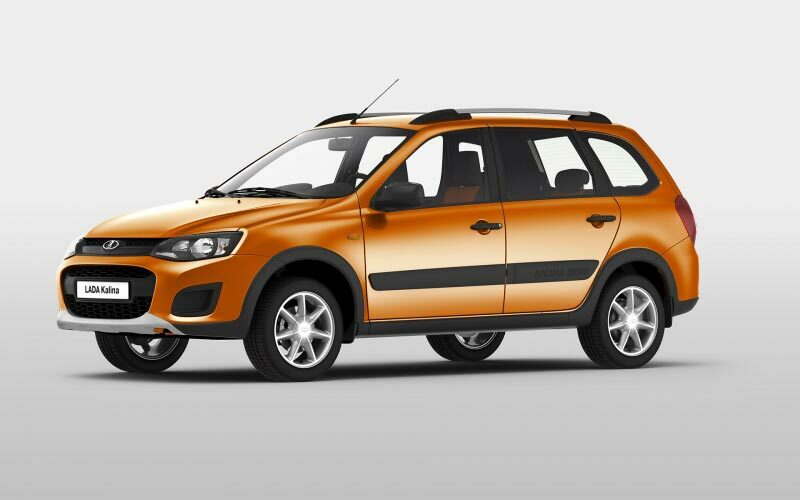 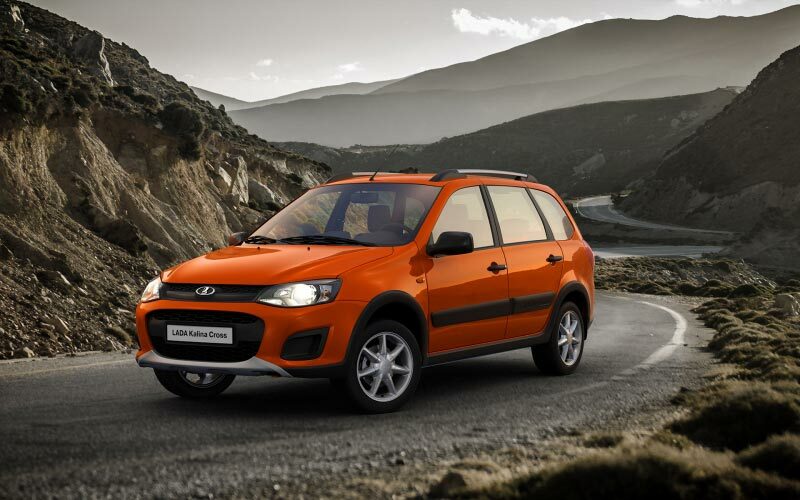 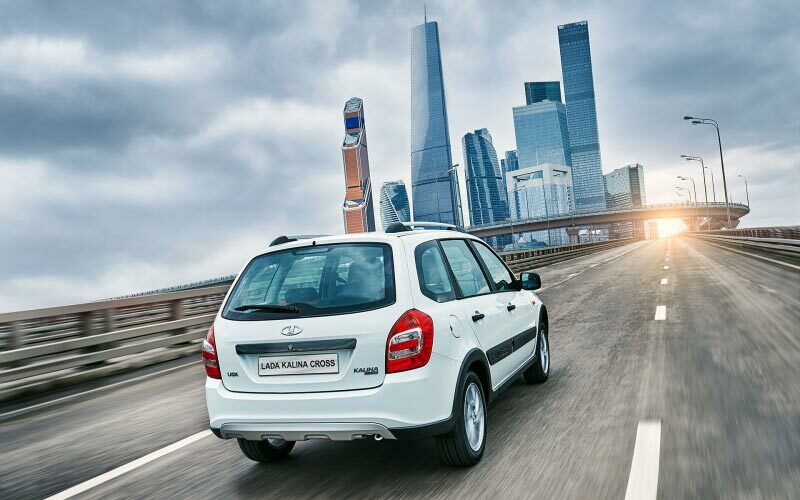 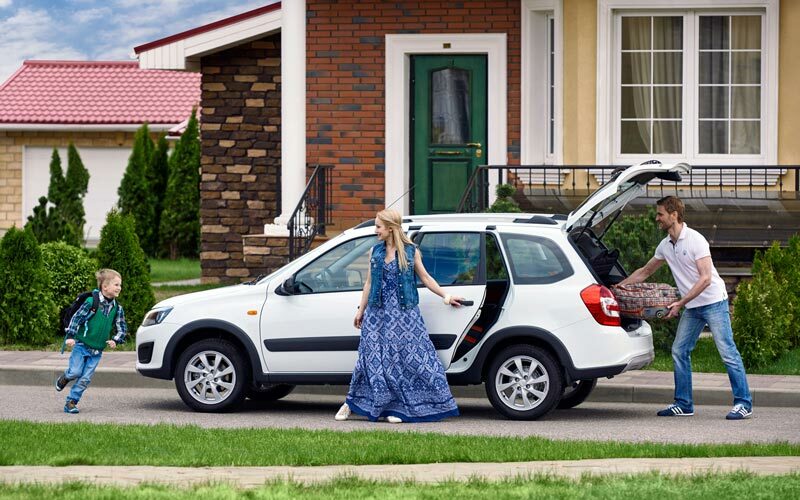 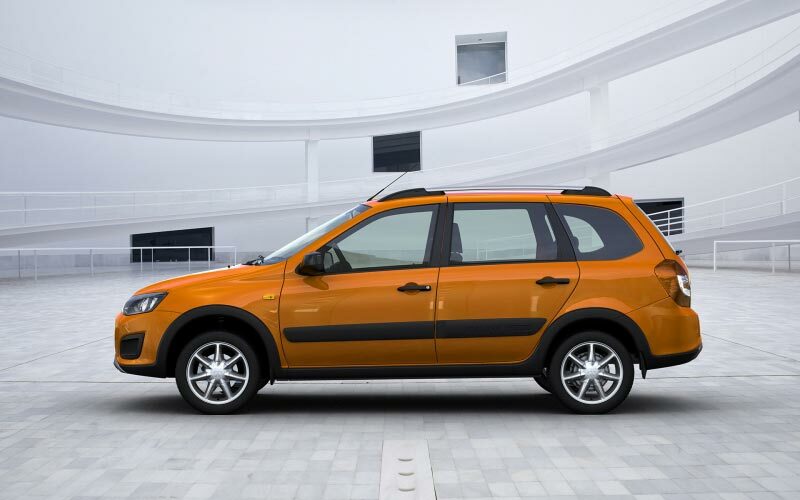 LADA Kalina Cross is a vehicle that redefined the notion of efficiency. 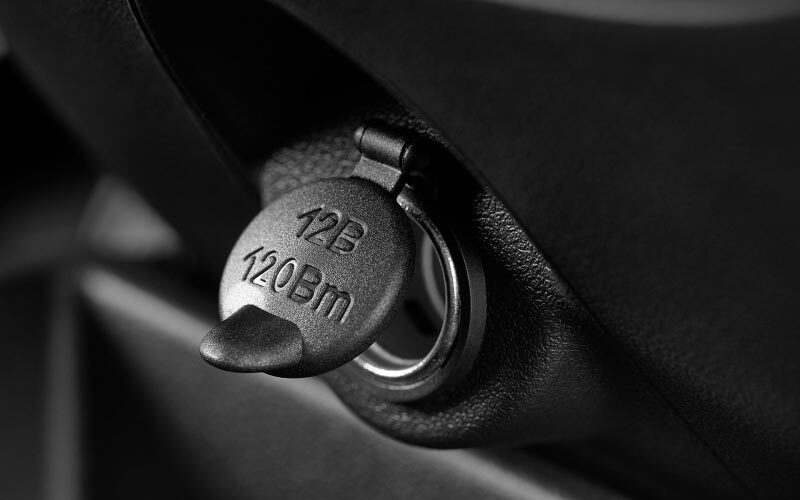 Its ground clearance is 23mm higher than before (thanks to a modernized suspension - 16mm, and to an enhanced tire depth of thread - 7mm). 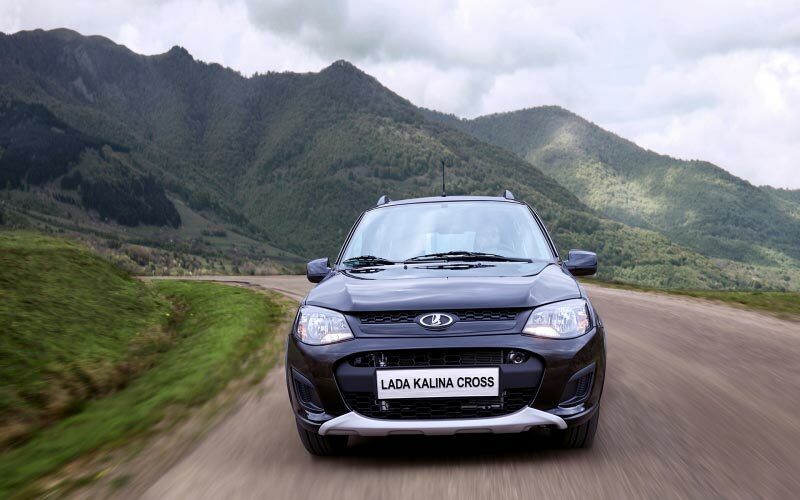 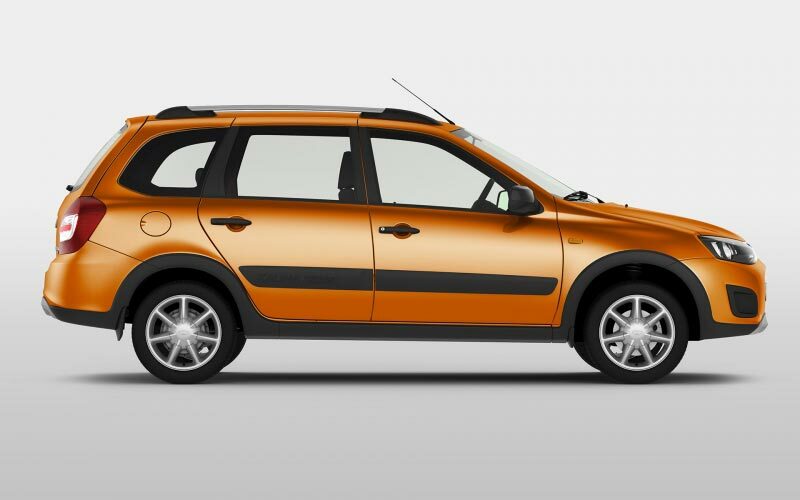 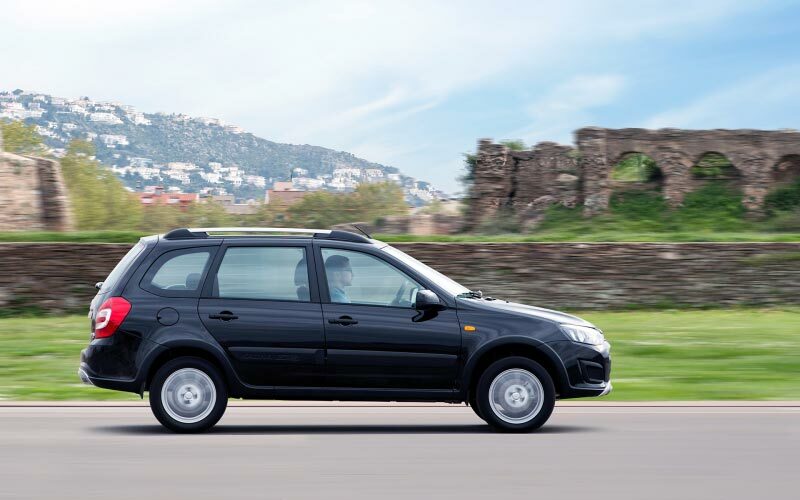 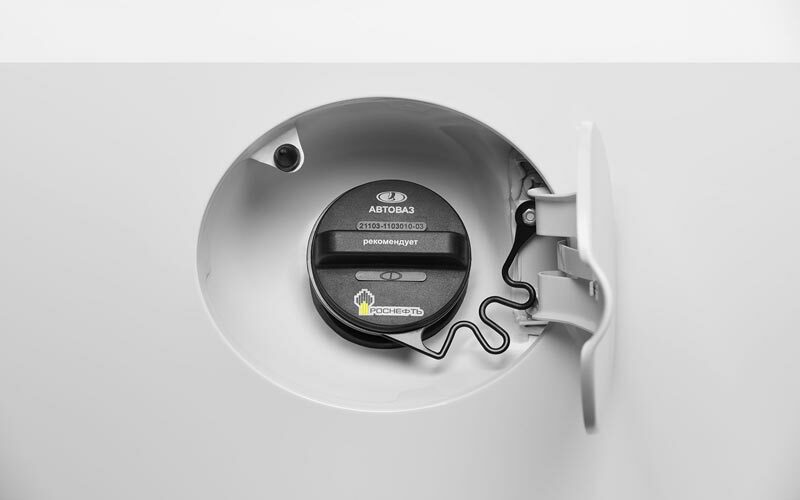 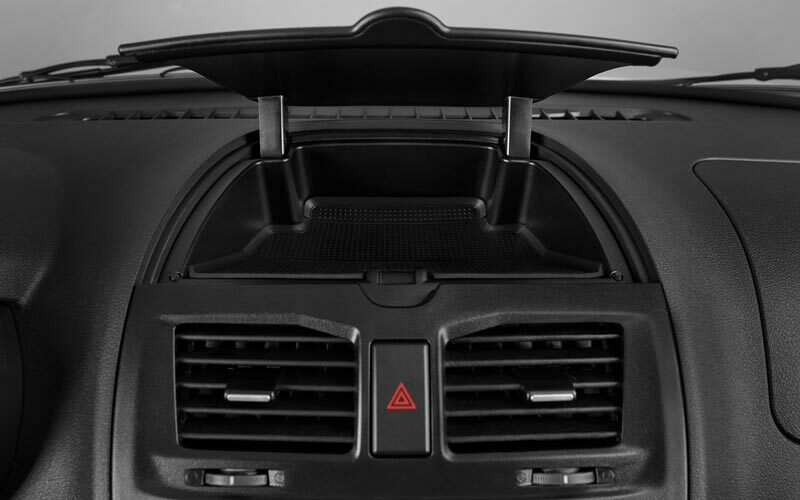 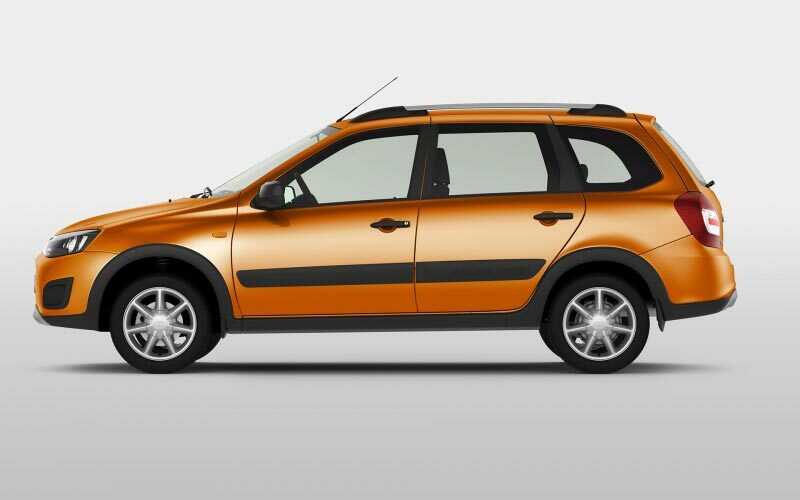 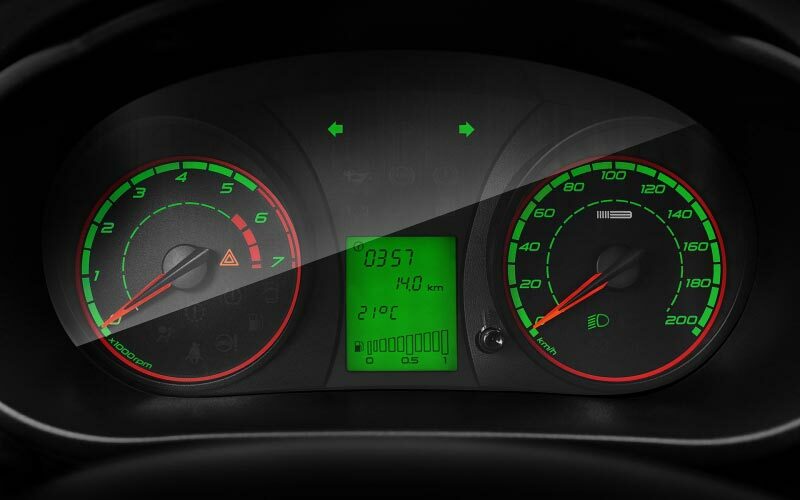 As a result, the geometric off-road drive for Kalina Cross matches other serious off-road vehicles! 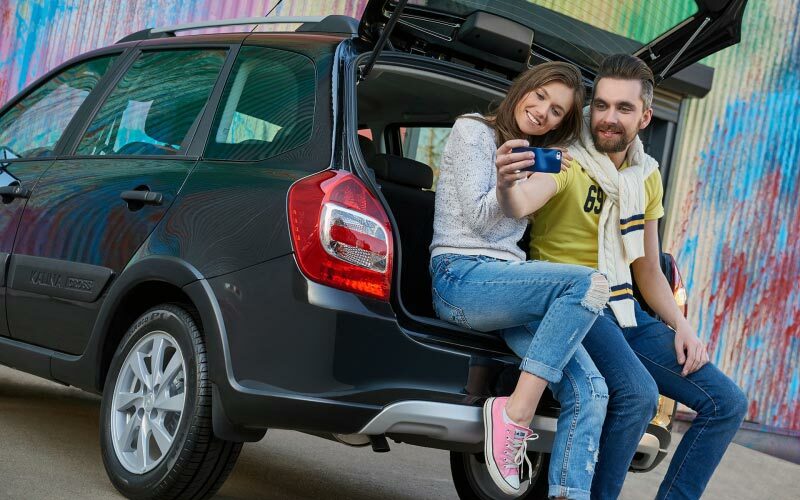 Modern suspension settings improve the stability and steering capacity of LADA Kalina Cross: the vehicle received high notes from the experts during testing. 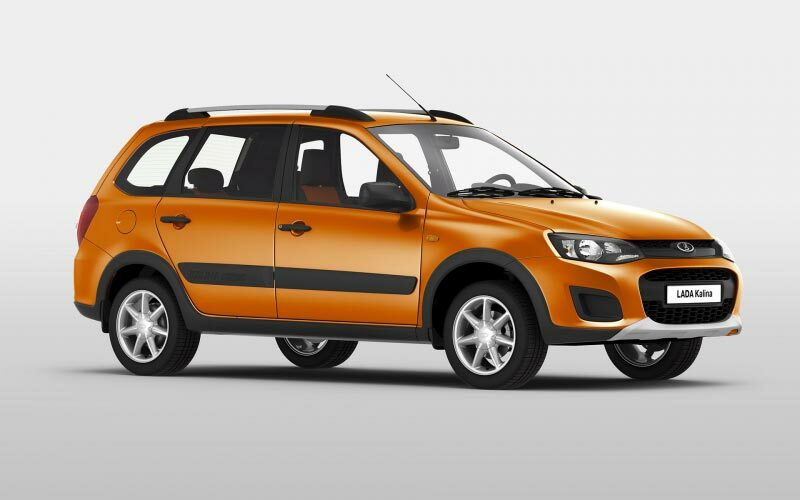 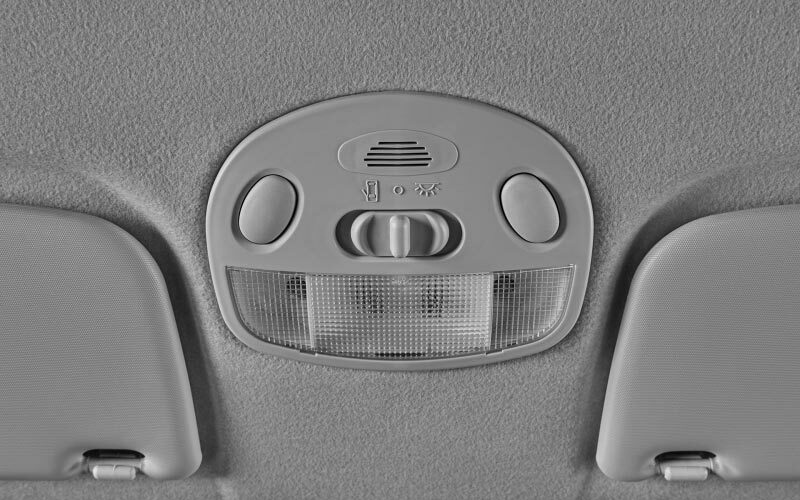 The vehicle's front is renewed to resemble the one of modern cross-overs, and its general design reflects its high capacity. 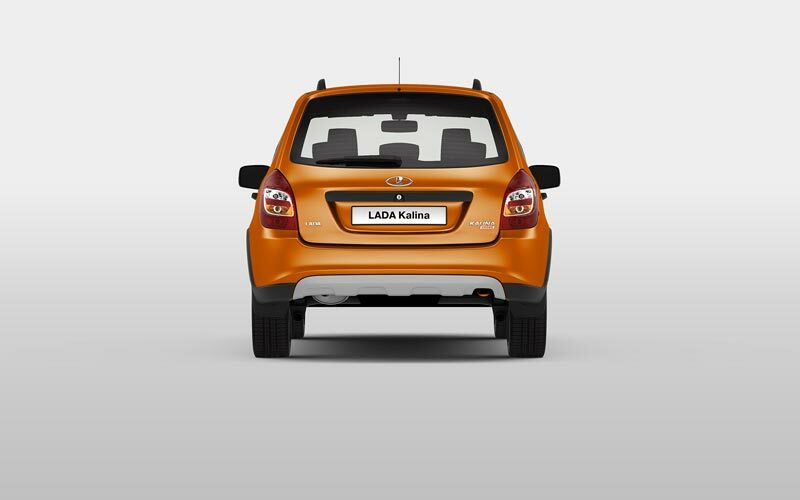 The full impression is given thanks to a bigger ground clearance and its protective body kit. 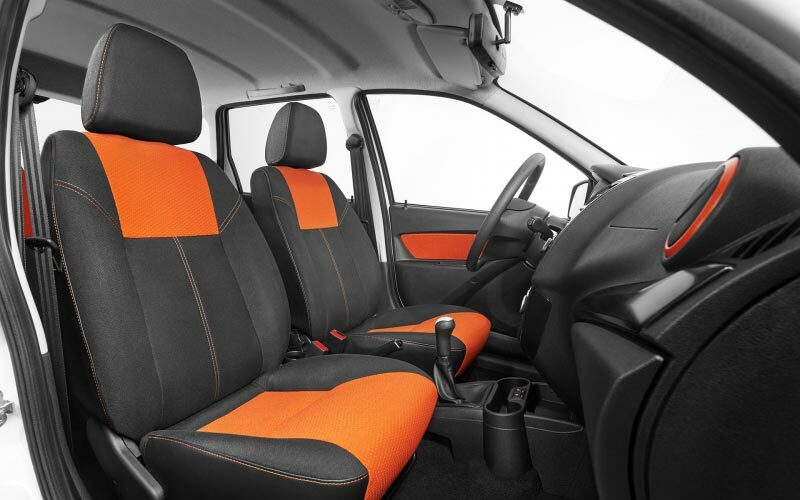 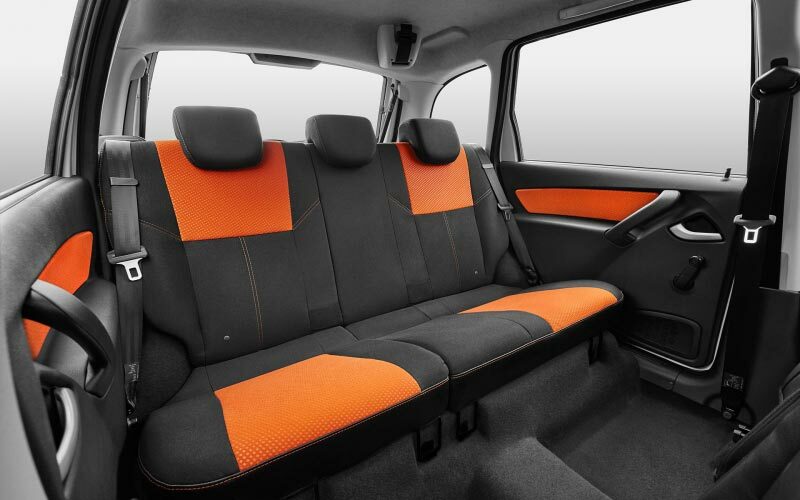 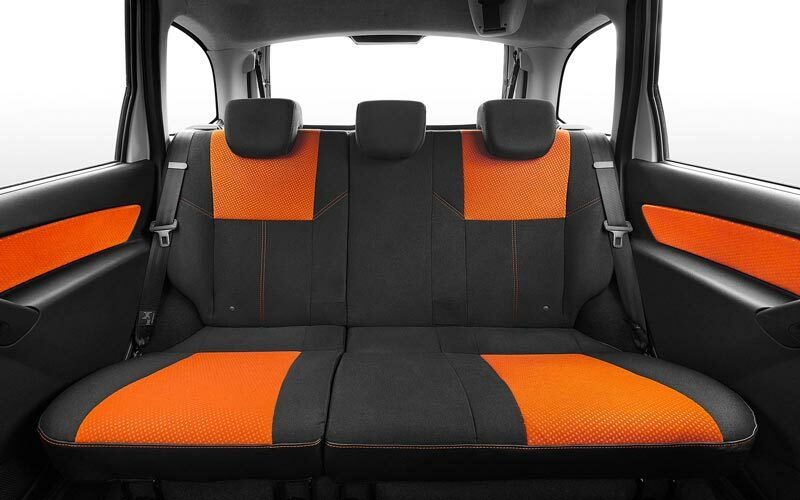 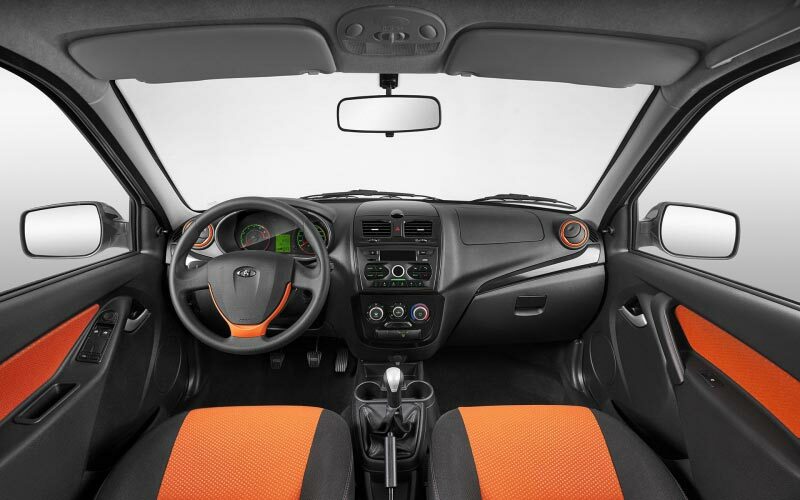 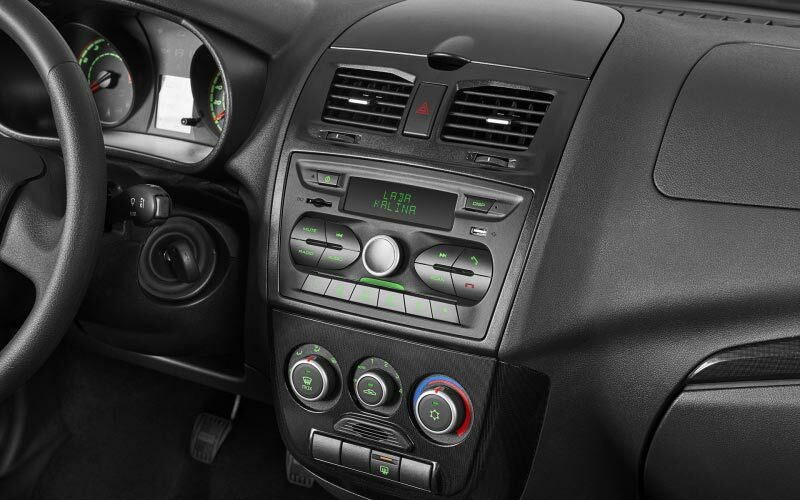 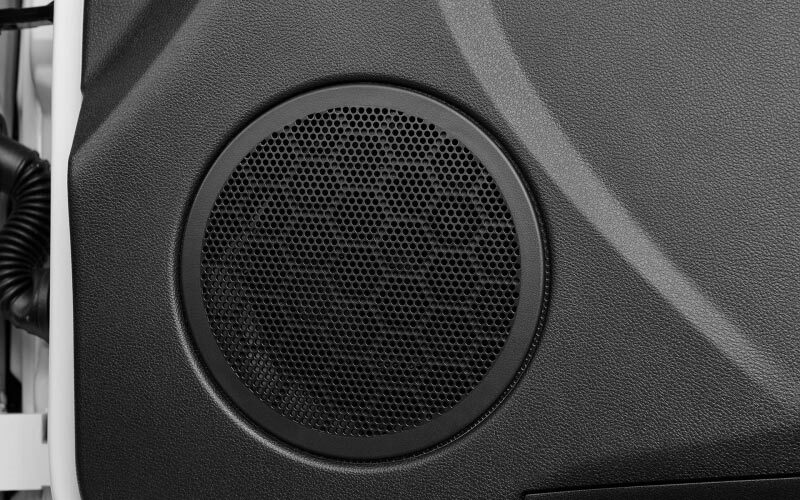 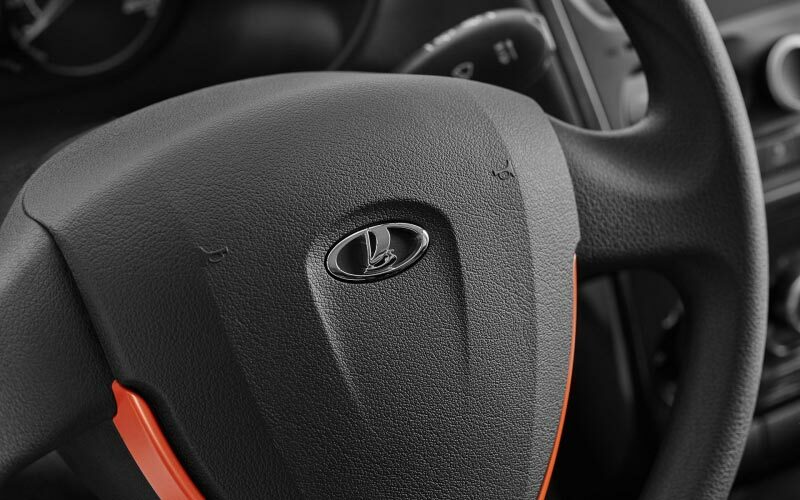 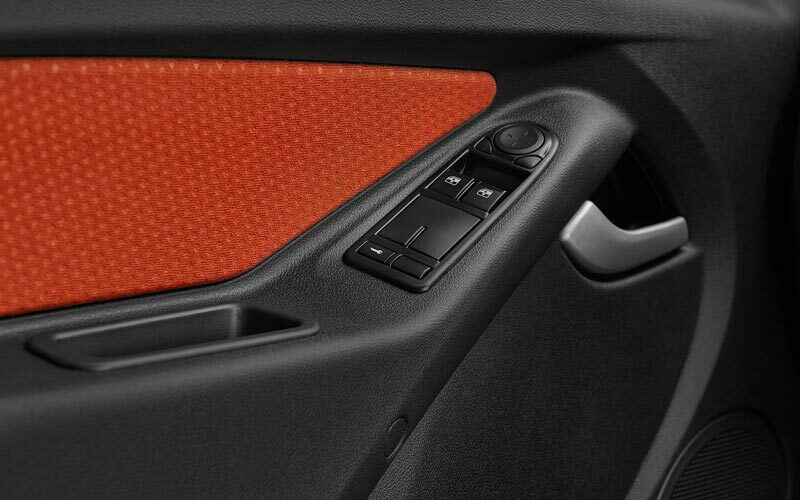 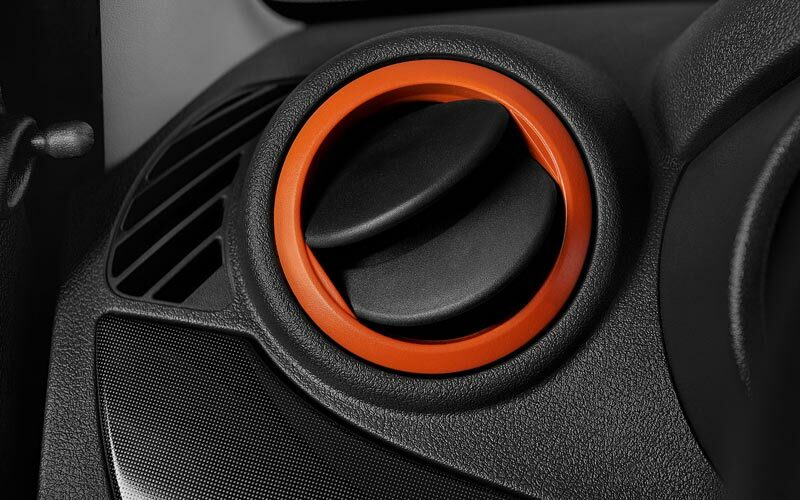 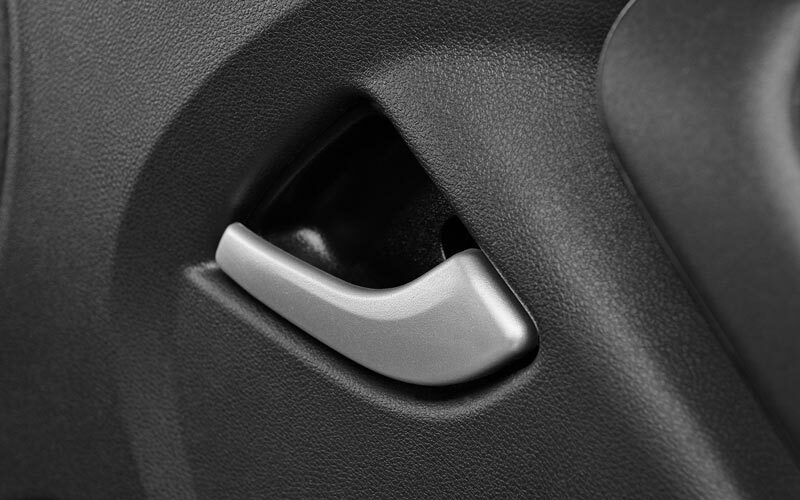 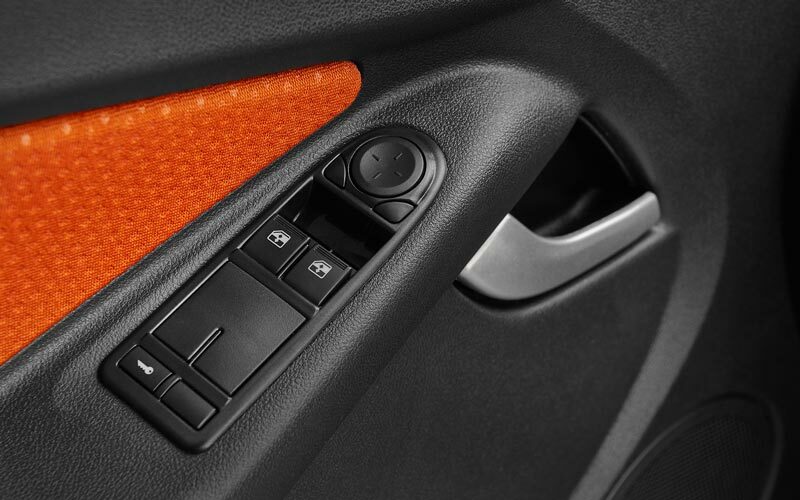 Colorful inserts in the upholstery added a fresh touch to the interior. 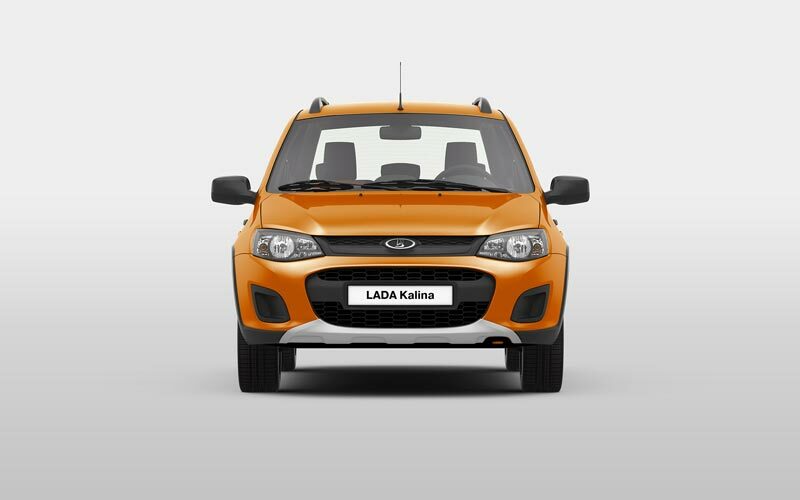 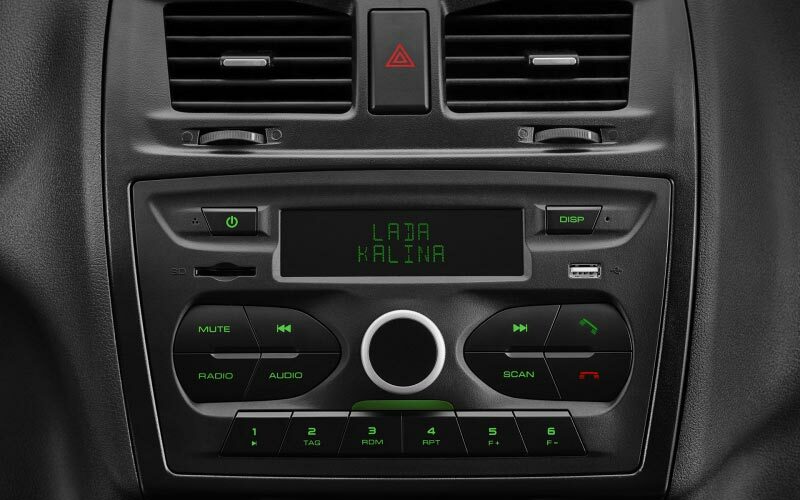 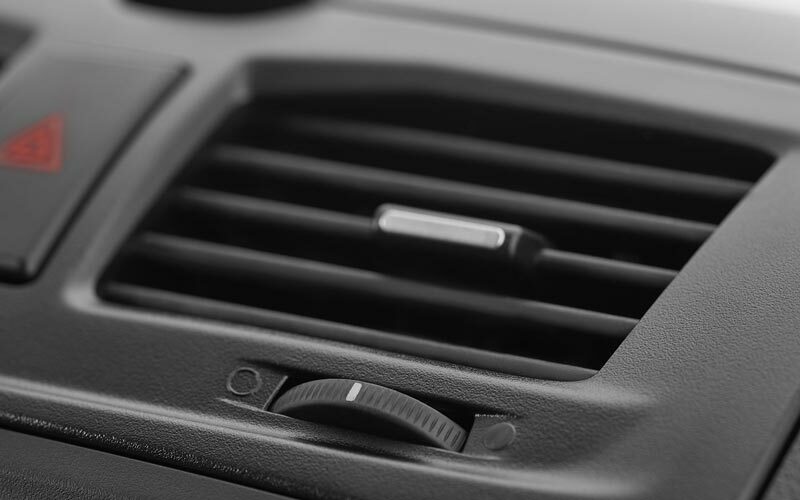 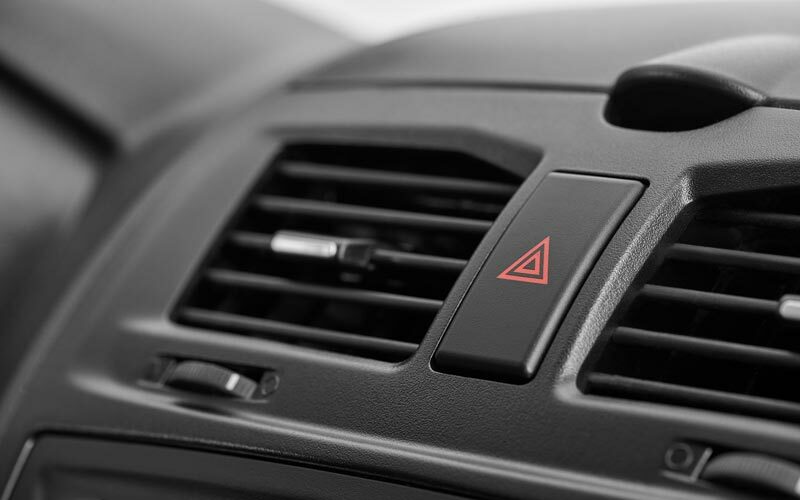 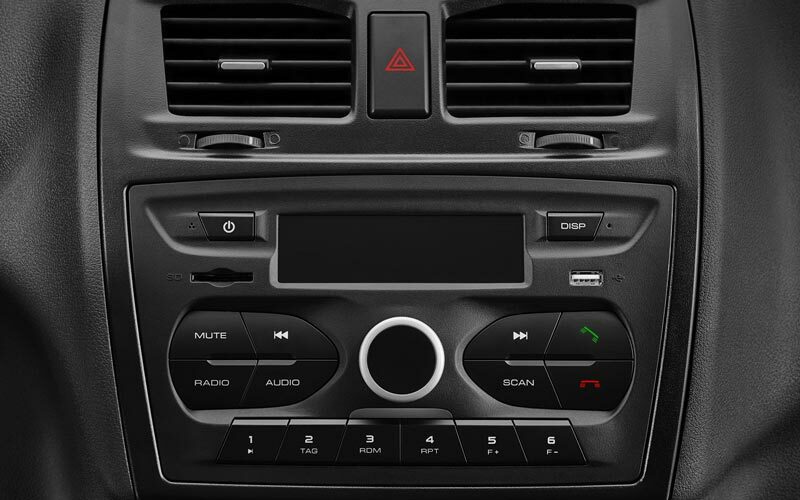 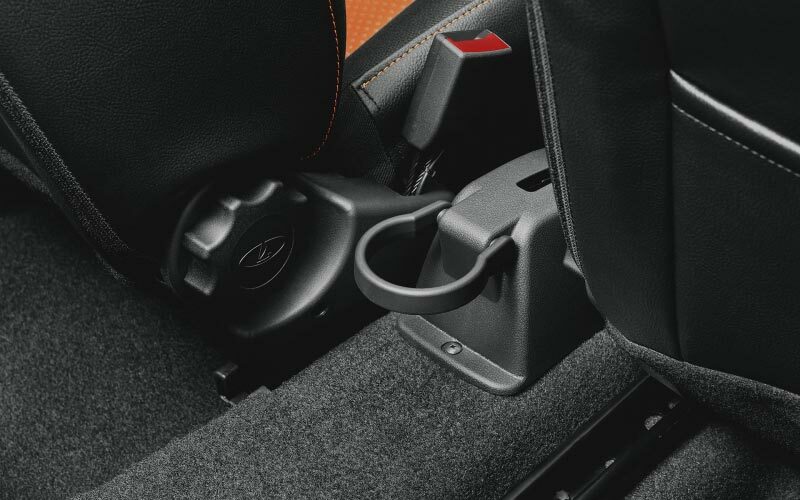 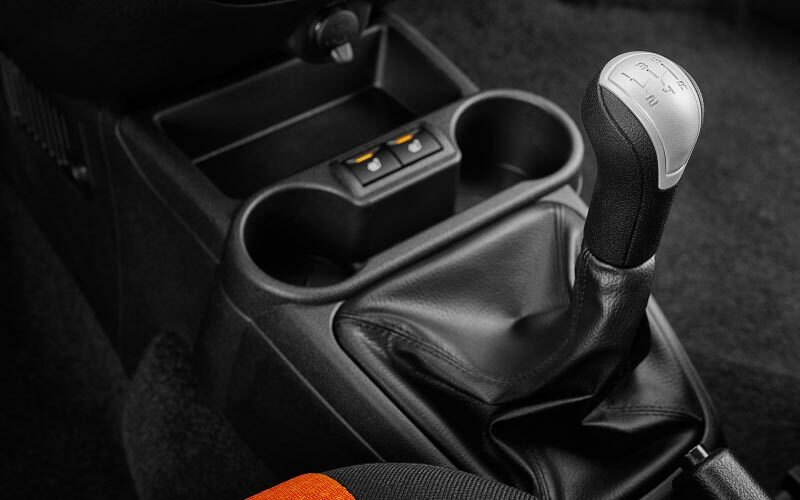 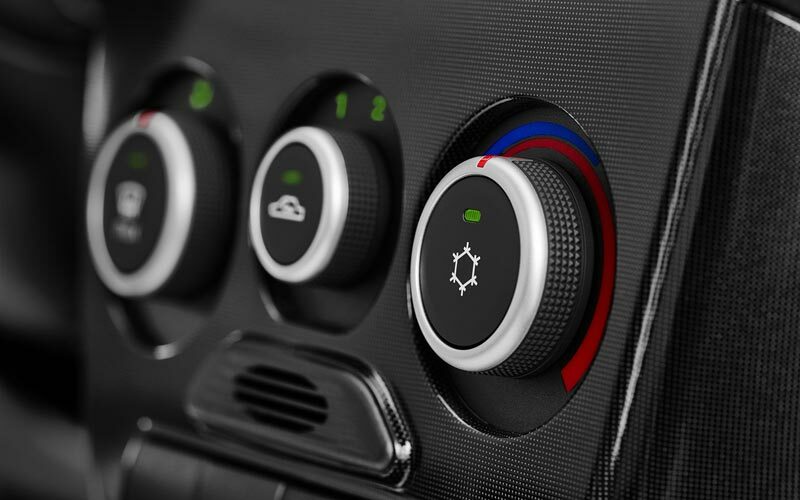 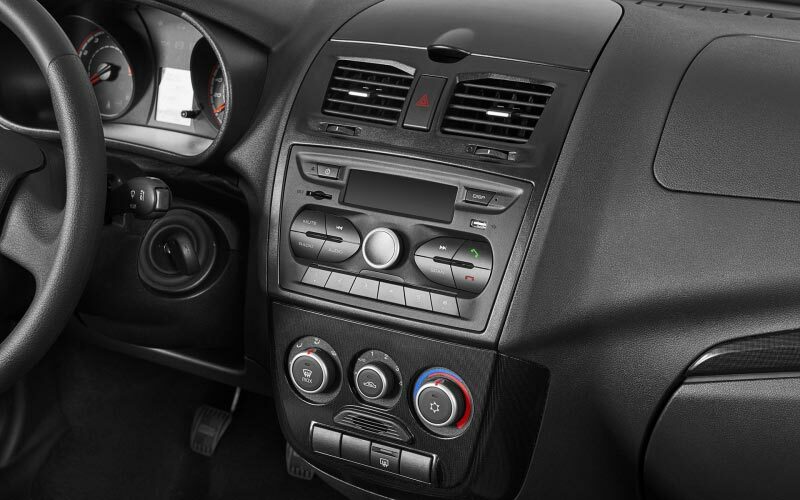 LADA Kalina Cross is part of a standard model range "norm": engine 87 horsepower + shift stick, ABS, climate system, driver seat airbag, front seats heater.